Talking Paranormal Mockumentary GHOST SQUAD with Creators Andy Kushnir and Carley Moseley on After Hours AM/America’s Most Haunted Radio Do ghost hunters take themselves too seriously? 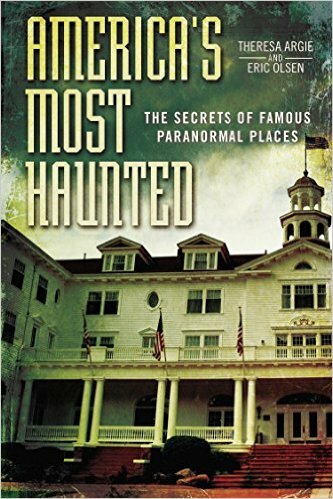 On a spooky but lighthearted episode of After Hours AM/America’s Most Haunted Radio — scintillating paranormal talk Thursdays 9-11pE with hosts Joel Sturgis and Eric Olsen — we talk with Andy Kushnir and Carley Moseley, creators of ghost hunting mockumentary Ghost Squad, 2018 New York Television Festival hit being released to the public on October 1. We speak with Andy and Carley at 10pE; at 9pE Joel and Eric review the latest paranormal news from the America’s Most Haunted Twitter feed. 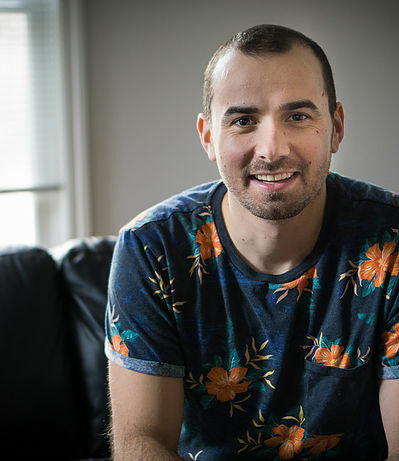 Ghost Squad is a mockumentary series that follows a ragtag gang of paranormal investigators as they try to rid the Chicagoland area of its most stubborn ghouls. The pilot episode finds our crew at the historic Caville Estate, where a night of partying in the 1920s turned into a night of…MURDER (!!). Years later, head paranormal investigator Desperado Miller must lead her team on a mission to expel the spirits from this tortured home. Under the careful eye of the estate keeper, Jodi, the crew struggles with workplace bullying, warring egos, and lots and lots of ghosts. 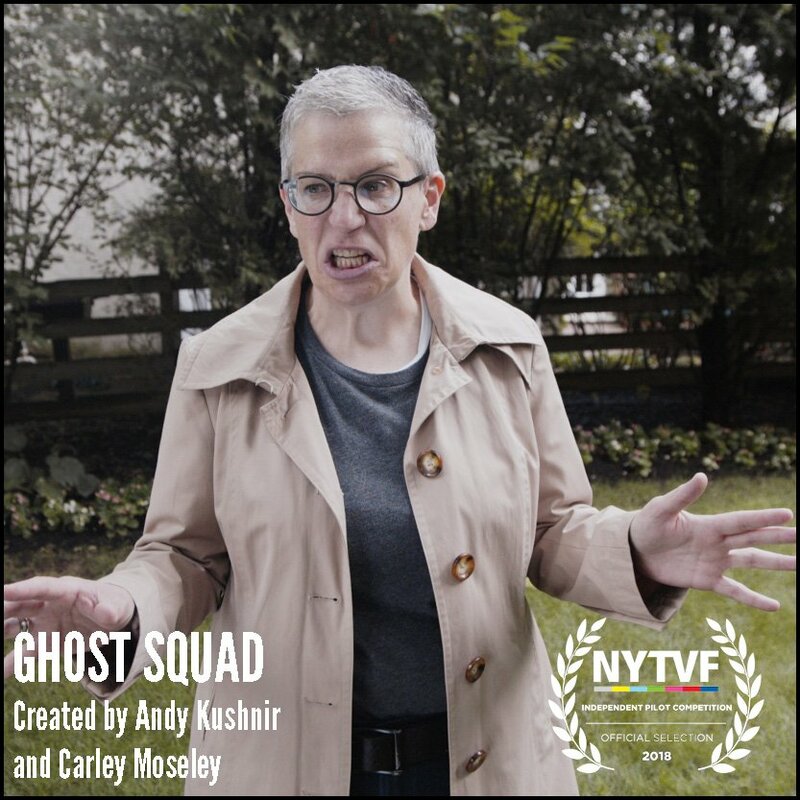 Ghost Squad premiered as an Official Selection in the 2018 New York Television Festival and will be released to the public on October 1 here. Writer/performer Carley Moseley is a New Jersey native who moved to Chicago after graduating from Vassar College to pursue comedy and waitressing. She toured the country with The Second City’s National Touring Company, and performs regularly at theaters across her new home city of New York. She is a contributing writer at Reductress and a company member at Story Pirates. 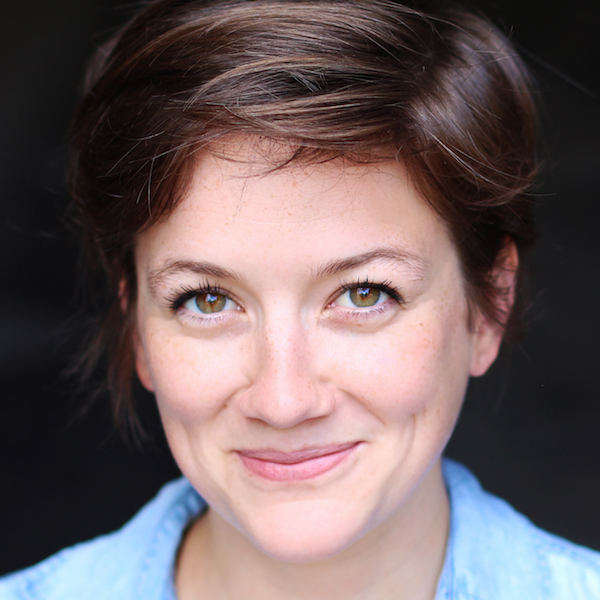 Carley is represented by 3 Arts Entertainment, and tweets at @carleythemight.